Towards a Russia-Pakistan Railway Corridor? Could Complement the Indo-Iranian North South Transport Corridor (NSTC)? The establishment of a financial consortium and joint working group between the railway administrations of Russia, Kazakhstan, Uzbekistan, Afghanistan, and Pakistan could one day lead to the creation of a Russia-Pakistan (RuPak) railway via Central Asia that would complement the Indo-Iranian North-South Transport Corridor (NSTC) to Russia but also potentially replace it in the event that American Hybrid War pressure leads to that latter project stalling or even being outright cancelled. 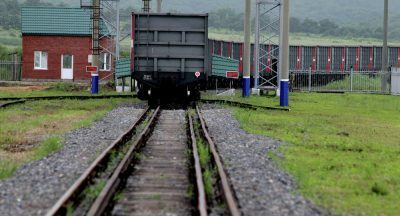 A major event took place earlier this week when the railway heads of Russia, Kazakhstan, Uzbekistan, Afghanistan, and Pakistan met in Tashkent and agreed to establish a financial consortium and working group for exploring the possibility of jointly contributing to the creation of a Mazar-i-Sharif-Kabul-Peshawar railway line, which could in effect pioneer a cross-Eurasian rail corridor between Russia and Pakistan (RuPak) – or to put it another way, between Europe and South Asia – via Central Asia if this ambitious initiative is ultimately successful one day. The grand strategic implications of RuPak can’t be overstated because this project would strengthen real-sector economic connectivity between most of the countries in the Golden Ring configuration of multipolar Great Powers, as well as having more far-reaching geopolitical ramifications, though provided that the situation in Afghanistan can stabilize enough to make this vision a reality. For starters, RuPak would naturally make Russia and the Central Asian transit states stakeholders in Pakistan’s success, thus proving that the South Asian state is indeed the Zipper of Eurasia capable of connecting countries all across the supercontinent. This could in turn strengthen the ongoing Convergence of Civilizations that’s occurring as a result of CPEC, as well as conceptually expand this project northwards through a branch corridor that what could colloquially be called N-CPEC+. The eventual outcome would be that Russia (and eventually the EU by extrapolation of economic logic) would have a second overland means of trading with South Asia that could complement the Indo-Iranian North-South Transport Corridor (NSTC), which while not entirely a mainland corridor is pretty much for the most part the only other practical continental way of connecting these two regions of Eurasia. As circumstances would have it, however, the joint Indo-American Hybrid War on CPEC is finally blowing back into Iran and endangering the NSTC after the latest terrorist attack that hit the project’s terminal port of Chabahar on Thursday. It’s unclear at the moment whether this was a one-off event that can be properly contained by the Iranian security services or if it portends a prolonged period of instability in this impoverished frontier region of the country, but it certainly made some observers wonder whether Iran and India have the wherewithal to weather the consequences of the worst-case scenario, one that would be partially of New Delhi’s own making. Should the NSTC stall or even be outright cancelled because of American Hybrid War pressure on Iran and/or India, then RuPak could conceivably replace it to ensure that Russia retains overland access to South Asia. The rub, though, is that Russia wouldn’t have a convenient access to the Indian marketplace through RuPak as it otherwise would through the NSTC, considering that Pakistani-Indian relations remain tense and Islamabad doesn’t allow New Delhi to export goods across its territory to third-party states like Afghanistan. That could realistically change if Russia “leaned” on its historic Indian partner and “encouraged” it to stop smacking away Pakistan’s olive branch, with one of the “rewards” of a Russian-facilitated “détente” in South Asia possibly being Islamabad’s opening of this corridorin exchange for tangible progress being made by New Delhi towards peace or at least a relative “normalization” of ties. In fact, this vision could be advanced even without anything negative happening with the NSTC’s long-term prospects, though it’s unlikely that India would have the political will to take it seriously unless that occurred.